Jorge Vega, of Brockton, Massachusetts, has been selected as the fifteenth annual recipient of the Associates of the Boston Public Library Writer-in-Residence fellowship. He was enthusiastically chosen as the 2018–19 winner by a panel of judges—including authors, editors, literary agents, booksellers and librarians—in a blind judging process, based on the strength of his proposed young-adult novel submission, Bottled. The Associates of the Boston Public Library Writer-in-Residence fellowship, created in 2004, furthers the Associates’ mission of supporting the Boston Public Library by promoting the importance of writers, books, and reading in our culture. The fellowship provides an emerging author with the financial support and space needed to complete one literary work for children or young adults within a nine-month period. One of the most financially generous programs of its kind in the United States, the winner receives a $20,000 stipend and the use of a private office in the Boston Public Library’s Central Library. The program is funded through the generosity of an anonymous donor, and the residency term runs from September 2018 through May 2019. 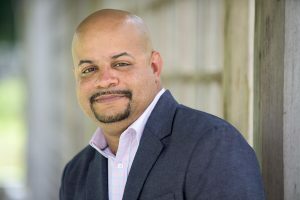 Born and raised in Queens, NY, Jorge graduated from Connecticut College with degrees in Theater and Education. After teaching theater for several years in Long Island, NY, he and his wife moved to Massachusetts to be closer to family and begin raising their three children. Since moving, Jorge has remained an educator, transitioning from theater to technology. He currently serves as the Director of Information & Instructional Technology at Prospect Hill Academy. Over the years, Jorge has also self-published several graphic novels and taught courses in writing comic books at Grub Street. The residency has enabled several talented children’s authors to launch their literary careers. Program alumni have published (or are in the process of publishing) thirty-two books. This includes several books written at the Boston Public Library: Hannah Barnaby’s Wonder Show, Elaine Dimopoulos’ Material Girls, Annie Hartnett’s Rabbit Cake, Natalie Anderson's City of Saints and Thieves, and Jennifer De Leon’s forthcoming Don’t Ask Me Where I’m From. The application and guidelines for the 2019–2020 fellowship will be posted online in early 2019 at www.writer-in-residence.org. The Associates of the Boston Public Library is an independent, nonprofit organization dedicated to conserving the Boston Public Library’s Special Collections of rare books, manuscripts, prints, photographs, and other items of literary, historic and cultural significance. The Associates works to ensure continued public access to these irreplaceable treasures by underwriting their conservation, cataloging, digitization, and exhibition. Through these efforts, the Associates helps the Boston Public Library to achieve its fundamental mission of providing the highest level of free educational resources to the citizens of the Commonwealth, as well as preserving knowledge, culture, and history for the benefit of all. Since its founding in 1972, the Associates has been the creator and underwriter of a wide array of programs, designed to heighten public awareness of the Boston Public Library’s vast free, educational resources. These programs have included Literary Lights; a Hundred-Year Retroactive Book Award competition; art and architecture tours; readings; lectures; curatorial evenings designed to enhance public awareness of the Library’s holdings; exhibitions; musical performances; and discussions of current events featuring key decision makers. To learn more about the Associates, please visit www.AssociatesBPL.org, www.facebook.com/AssociatesBPL, www.twitter.com/AssociatesBPL or www.instagram.com/AssociatesBPL.